When will be Black is the New Black next episode air date? Is Black is the New Black renewed or cancelled? Where to countdown Black is the New Black air dates? Is Black is the New Black worth watching? A selection of exceptional figures drawn from the world of politics, business, culture, religion and science face the camera and share their experiences of being black and British. Beautifully shot by artist and director Simon Frederick, the line-up of influential individuals reveal their heartfelt stories and unfiltered opinions to paint a unique portrait of modern Britain's past, present and future.Conceptually unique, Black is the New Black relies solely on the words spoken by the line-up of distinguished individuals. With no archive or voiceover, their voices resonate with emotion across a wide range of subjects. In this first episode, the focus is on arriving and growing up in Britain. 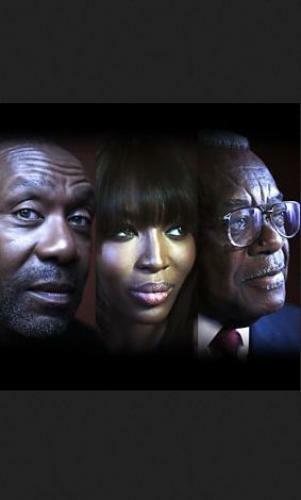 This distinguished cast, which includes Naomi Campbell, Sir Trevor McDonald, Thandie Newton, musicians Jazzie B of Soul II Soul and Dizzee Rascal and footballer Les Ferdinand, all tell of how they or their parents came to the UK with an attitude of respect, almost awe of their new home – regarded as the mother country - Great Britain. In this second episode, our cast of extraordinary black Britons talk about growing up. Naomi Campbell, Dizzee Rascal, David Harewood, Tinie Tempah, Sir Trevor MacDonald and Alesha Dixon are among the stand-out stars of this film talking about moving beyond the family home, their school days, building confidence and negotiating the working world. Exceptional figures from politics, business, sport, culture, religion and science share their insights into being black and British today, how they got where they are and their thoughts on what the future holds. This episode is about making it, but making it with a difference. Naomi Campbell, Sir Trevor McDonald, Lenny Henry, Thandie Newton, Chuka Umunna, Tinie Tempah, Dizzie Rascal, Commonwealth general secretary Baroness Scotland and footballer Les Ferdinand reveal how the path to the top in the UK if you are black is fraught with challenges. Tokenism, type-casting, lack of access to capital, proving yourself twice over, are just some of the problems they faced. And that's all before the self-censorship that prevents many from achieving their full potential. The cast talk about the massive achievement and contribution of black Britons, where they have managed to forge their own path to success; where bravery, self-reliance and resilience finally cuts through. Exceptional figures from politics, business, sport, culture, religion and science share their insights into being black and British today, how they got where they are and their thoughts on what the future holds. Our cast of extraordinary black Britons are facing today and the future. Naomi Campbell, Dizzie Rascal, David Harewood, Tinie Tempah, Trevor Nelson, Sir Trevor MacDonald and Alesha Dixon are amongst the stand-out stars of this film talking about where we have reached today on the Black-British journey. They talk mostly of their pride in being British and their love for the country as epitomised at the phenomenon of the 2012 London Olympics. They discuss the inspiring Obama effect and what that means to them, but are then brought back to reality by the saddening occurrence of Brexit. We forecast to the future of Black Britain and what that looks like for our younger cast, for our dual-heritage talent and for those whose children are the future of the country. Black is the New Black next episode air date provides TVMaze for you. EpisoDate.com is your TV show guide to Countdown Black is the New Black Episode Air Dates and to stay in touch with Black is the New Black next episode Air Date and your others favorite TV Shows. Add the shows you like to a "Watchlist" and let the site take it from there.